Being immersed in the fitness industry provides me with a ton of different opportunities to experience different techniques, methodologies, and products. 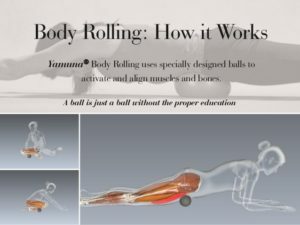 I recently had the privilege of a one-on-one demo of the Yamuna® body rolling technique that focuses on myofascial release. Most runners, triathletes and other endurance athletes tend to neglect recovery. Why? Well, let’s face it, it could get kinda boring. Yoga classes are slow-moving, pose-to-pose movements, and foam rolling isn’t done at the break-neck pace we prefer. But, if you have ever been injured, one of the first questions asked is “would it have happened if I spent more time stretching and recovering?” The answer is commonly “Yes”. 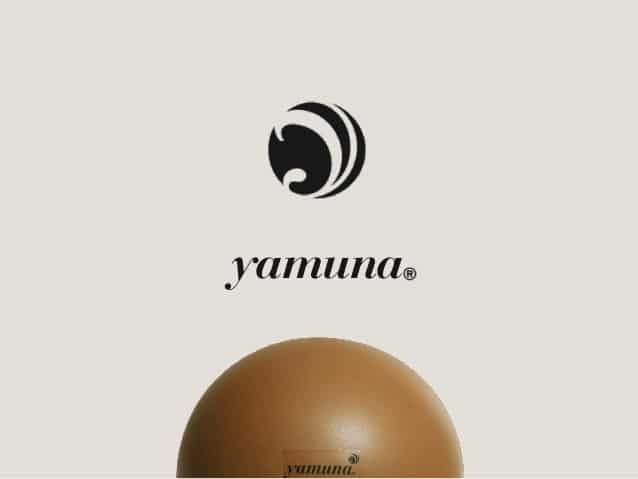 Yamuna® body rolling is another technique to incorporate myofascial release into your fitness regimen. Myofascial release is basically a technique that provides stretching, compression and sustained pressure into restricted areas of connective tissue in the body to eliminate pain and restore motion. 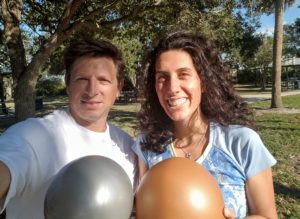 I had the pleasure of meeting Emily Stein, Certified Yamuna® Body Rolling Practitioner, and Personal Trainer who specializes in flexibility and mobility training using soft medicine balls and Active Isolated Stretching, located locally here in Tampa. She put me through a thirty-minute hands-on demonstration of this technique which uses different sizes of synthetic balls instead of a tubular foam roller. My mention of my tight hamstrings queued Emily to start my demonstration of the Yamuna® Body Rolling technique with my glutes. I sat on a medium-sized ball and rolled the ball slowly and deliberately throughout the range of my gluteus muscles and then slowly crossing down in my hamstrings. Personally, I don’t use a foam roller, I use a PVC pipe because I enjoy pain. Well, not really but I find that it triggers more nerve receptors signaling where I need the release. Not that I have not used a foam roller. I have. I understand the use of a softer medium as it tends to mold to the area being worked on. The balls do the same thing, but because they are even softer than a foam roller they are able to cradle the muscle thereby triggering the release of more of the connective tissue. At least that is what I was experiencing. Emily demonstrated not only the self-recovery techniques but also her incorporation of the Yamuna® balls into her personalized individual service. 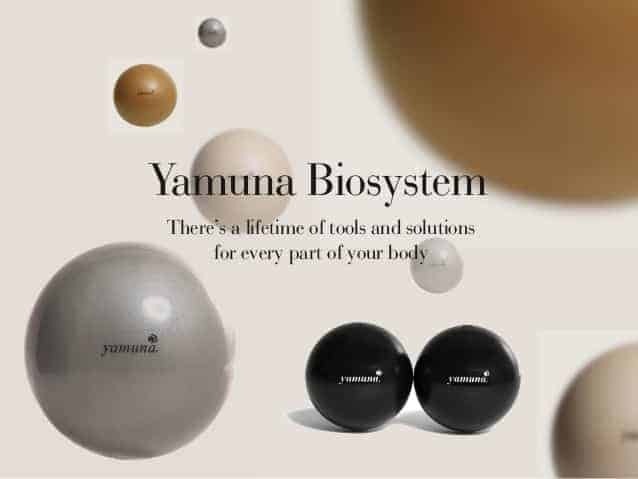 This one-on-one service where she uses her hands in concert with the Yamuna® Balls stretches deeper into the meat of the muscle while releasing of the connective tissue. It was eye-opening how the balls release different points that are the foam roller is unable to target. Rolling around in a circle versus a linear motion, allowed by the Yamuna® Balls, signaled more points needing of release, in my opinion. I am sure you can see how the Yamuna® Body Rolling technique is advantageous to runners and endurance athletes. The pounding we put on our bodies causes all sorts of issues with not only muscles but our connective tissue. Just for this reason, I continually suggest incorporating massage, by a licensed massage therapist, at least once every two weeks. This technique, in tandem good stretching sessions, or yoga, will be beneficial in-between visits to your Licensed Massage Therapist. It is, at the very least, worth a try. 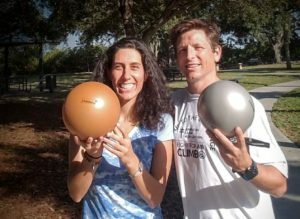 If you would like to schedule some time with Emily Stein, or just inquire for more information, you can contact her through her website at www.rollforfitness.com. Emily helps people who need to and want to improve their movement. Awesome Emily! You are a rock star YBR instructor!